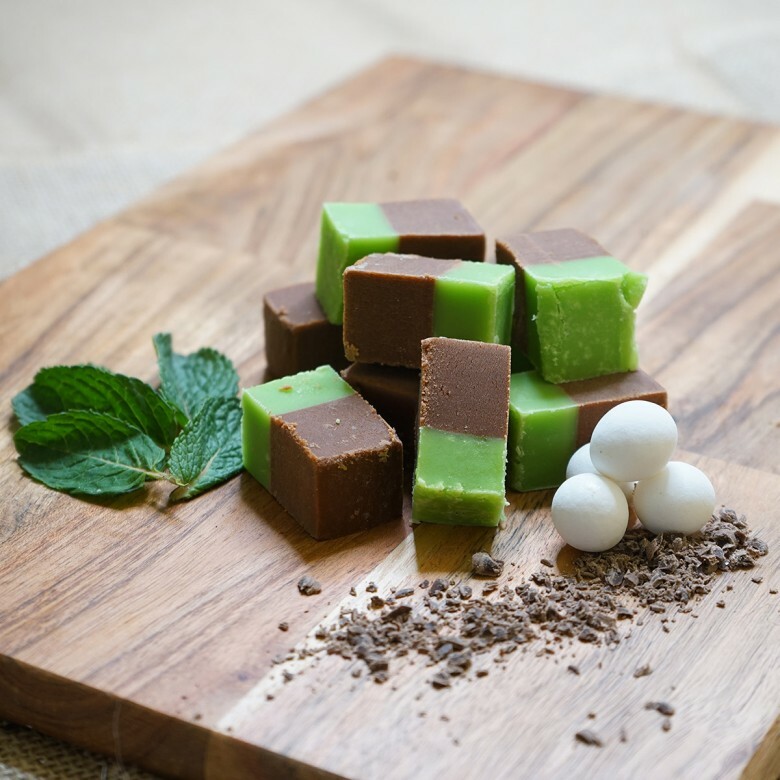 Mint Chocolate Fudge - A hand crafted duo of chocolate and mint makes an irresistible edgy combination. On the bottom we have the sharp cool flavours of Mint and on the top the luxurious Belgian Chocolate flavour, these two together compliment each other beautifully. Ingredients list: sugar, MILK, glucose syrup, palm oil, butter, salt, flavourings, whey powder MILK, WHEAT flour, calcium carbonate, iron, niacin, thiamine, fat reduced cocoa powder, emulsifiers: SOYA lecithin E476, E102,E142. Chocolate Mint Fudge is available in two sizes; a 150 gram bag or a 450 gram box.